Yesterday there were two new releases that inspired me for this week's installment of "Gift Ideas for the Book Lover"! ONE SECOND (Seven Series, Bk #7) by Dannika Dark and SMOKE AND FIRE (Dark Kings Series, Bk #9) by Donna Grant are two phenomenal series that will captivate you from the start! While both are Paranormal Romance, each are different in not only that one series is about Dragons and the other about Shifters that are wolves, but each author brings a breath of fresh air to the PNR genre! I am very fortunately to be able to review for both these fantastic authors! I hope you'll check out both series as they truly are awesome! Both series are available in eBooks, Paperbacks and Audiobooks!! I did things a tad bit different this week... found items that had items inclusive of wolves and dragons and that fit the series somehow as well in the same store!! Thought if you were a fan of both series, you didn't have to go far to get items you'd like! :) Let me know what you think of this week's items! Inspired by the Luck Dragon, good fortune is in the cards for anyone who desires these treasured gems. 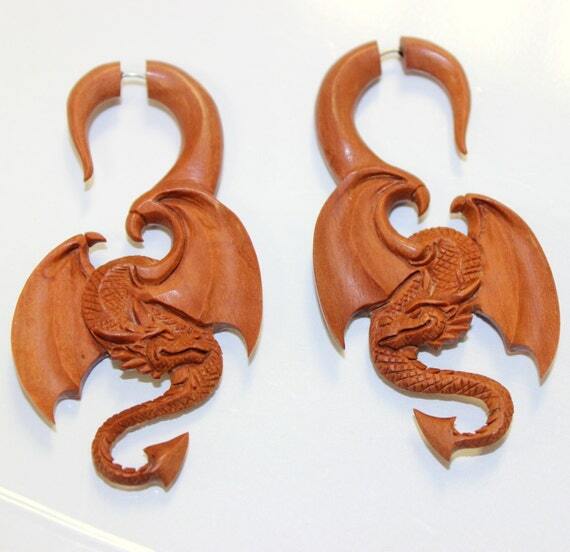 Made from Organic Wood and carved to perfection, these symbolic, stunning accents provide an inspired choice to complement a variety of looks. And the best part, no body modification needed. 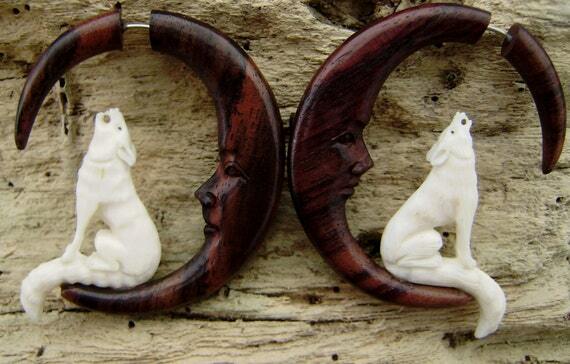 These pieces when split give the illusion when worn that your ears are gauged. 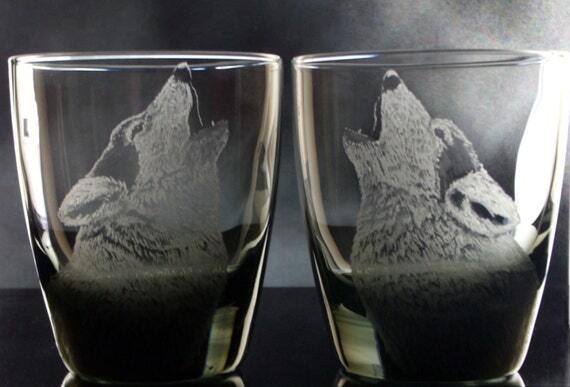 *These howling wolf tumblers (set of two) have been hand engraved for you using the drill method of engraving. *Wonderful tumblers to enjoy your favorite beverage or just display and enjoy. "smoke colored" glass is actually a very dark grey-black. A fabulous gift idea for that special wolf lover! They measure 4 inches ( 10.160cm) tall and have a 3 1/2 inch (8.8900cm)diameter at opening. *These Brilliant lime green wine glasses are 8 inches tall with a 2 1/4 inch diameter at opening. 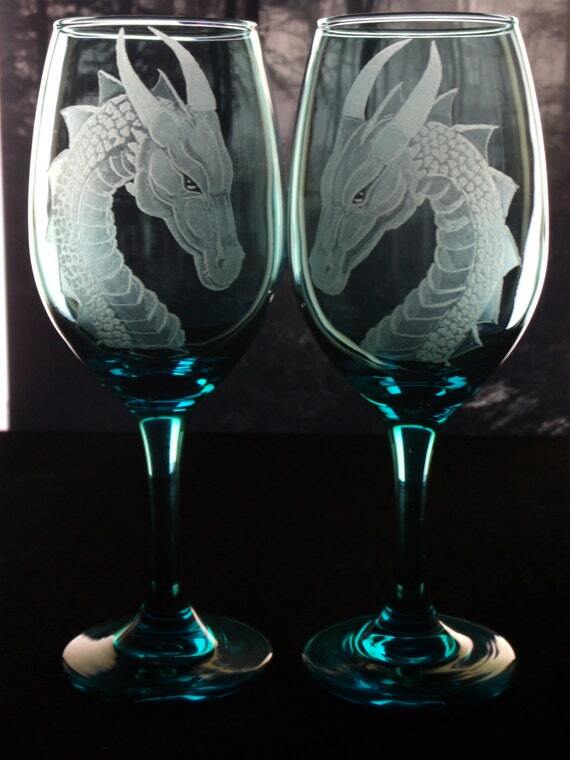 These Glasses feature my much loved Dragon design ,on a new Brilliantly colored luminous Lime , purple, or turquoise glass. Can be personalized , simply include needed text in the notes section of your order, or contact me to discuss your needs. You will receive 1 tattoo and full instructions. Unreal inks will last at least a week. 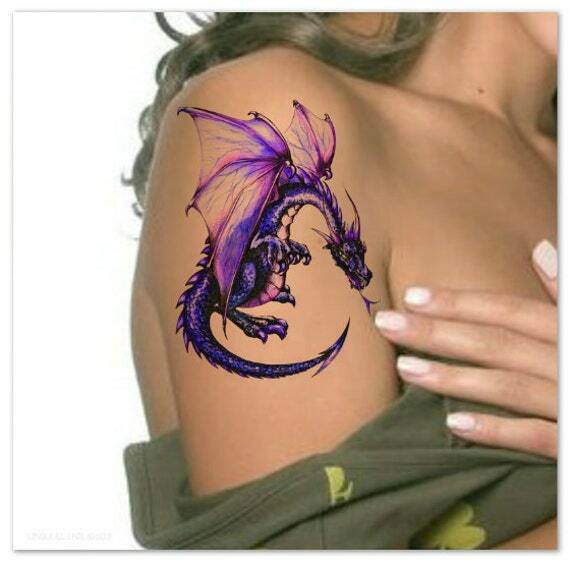 Ultra-Thin (25 microns), durable, quality waterslide tattoos. 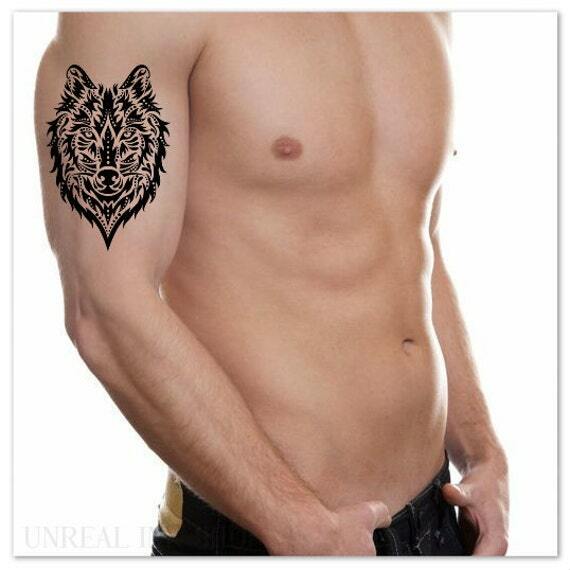 All tattoos are printed with a LaserJet printer using top quality paper. Please read the full application instructions before applying the tattoo. Our vinyl decals come in a variety of awesome designs and are easy to apply to any nonporous surface. 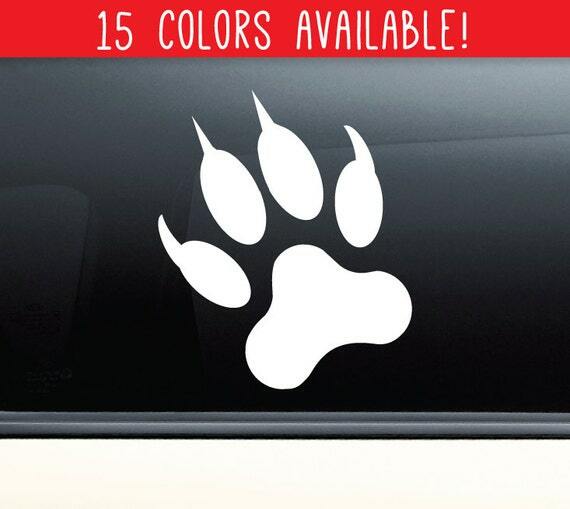 They add fun flare to car windows, glass doors, laptops, and more! This decal measures 5.5" x 4.75" and is made with a glossy 3.0 mil permanent self adhesive vinyl with an indoor and outdoor durability of 5+ years. 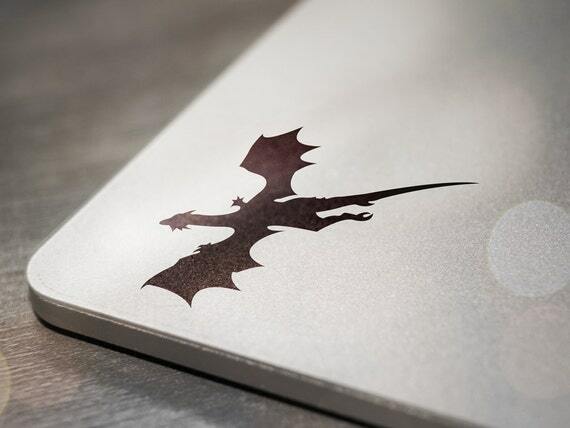 WANT TO PERSONALIZE THIS DECAL? Send us an Etsy convo message and we'll create a custom listing for you! This decal measures 3.5" x 3" and is made with a glossy 3.0 mil permanent self adhesive vinyl with an indoor and outdoor durability of 5+ years. NOTE: Size reference in photos are for viewing purposes only and may not reflect the actual size of the decal. Please refer to the actual size measurements listed above.